Climate change poses an unprecedented threat to the health of Australians and people across the world, particularly those people who already face health inequities. 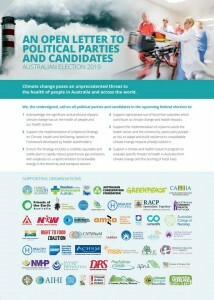 Nearly 50 health and civil society organisations, including the MSAV, and 20 scientists and health leaders have signed an Open Letter to all candidates for this year’s federal election calling for effective action on climate change for the health of the community. 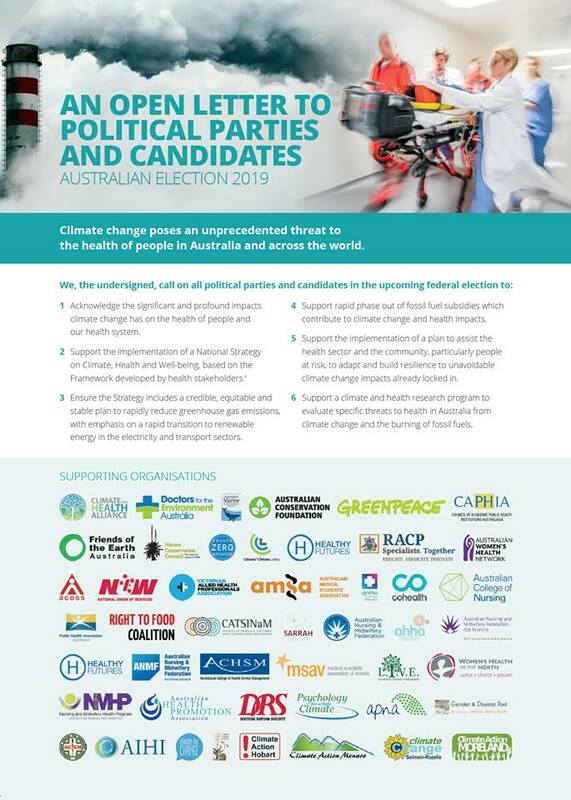 We encourage everyone to send the open letter to your local candidate to find out where they stand on establishing a framework for a national strategy on climate, health and well-being. Please share the Open Letter in your workplace, local community and on social media. You can download the Letter here and you can get a lot more information and resources by visiting the Climate and Health Alliance website.